1. 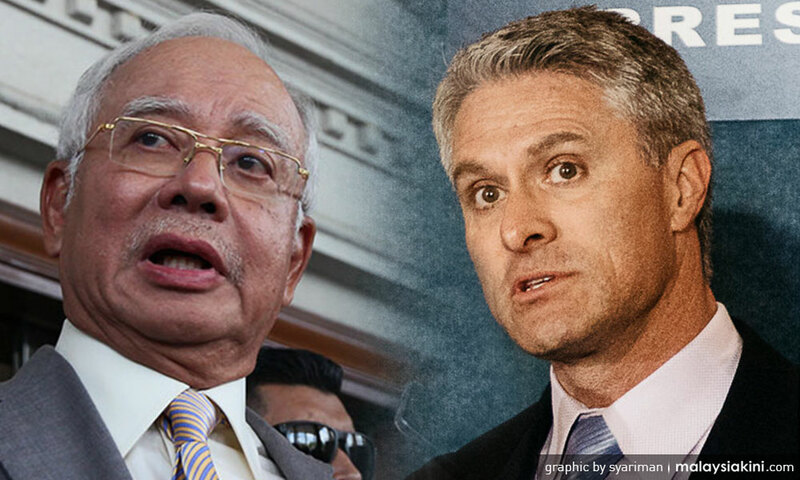 Former prime minister Najib Abdul Razak purportedly engaged the services of top Republican communications specialist Mark Corallo last year, claimed a group that monitors the influence of money in US politics. 2. Jelutong MP RSN Rayer said the government should give a chance to AirAsia boss Tony Fernandes to make ailing national carrier MAS soar again. 3. The father of the late firefighter Muhammad Adib Mohd Kassim said he could not bring himself to ask his son about the injuries sustained during the Seafield temple riots last November, as he did not want to add on to the latter's trauma. 4. Wisma Putra confirmed that Muhammad Haziq Mohd Tarmizi, 17, who was reported missing after the Christchurch terrorist attack last Friday, was killed in the incident. He has since been laid to rest in New Zealand. 5. National carmaker Proton will collaborate with a local partner to establish a manufacturing assembly plant in Pakistan, its first in the South Asian region, said Malaysia High Commissioner to Pakistan Ikram Mohammad Ibrahim. 6. Selangor Menteri Besar Amirudin Shari shot down a proposal to make the state the biggest marijuana producer in the world. 7. Energy, Science, Technology, Environment and Climate Change Minister Yeo Bee Yin said Putrajaya is looking into the possibility of introducing a new law to compel polluters to pay for environmental clean-up operations and other damage caused. 8. The High Court in Kuala Lumpur struck out a suit filed by Umno to seek the return of RM116.7 million impounded by the police during last year’s raids on Pavilion Residences.